I am currently showing at this wonderful group exhibition at MOLAA (Long Beach, CA) curated by Julian Bermudez. MOLAA’s first exhibition to present works solely by Southern California-based Chicano artists, introduces audiences to this unique school of American art through a series of landscapes spanning 40 years. 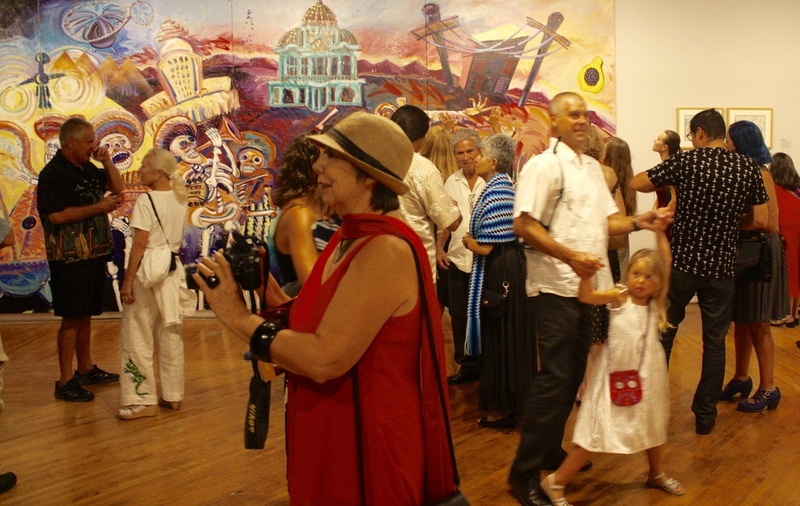 The exhibition features paintings, drawings, photographs, mixed media works and rare studies by artists such as Carlos Almaraz, Yolanda González, Gronk, Wayne Alaniz Healy, Ramses Noriega, Frank Romero, Jamex and Einar de la Torre, John Valadez, Patssi Valdez, Shizu Saldamando, Roberto Gutíerrez, Jose Ramirez, and Ana Serrano. 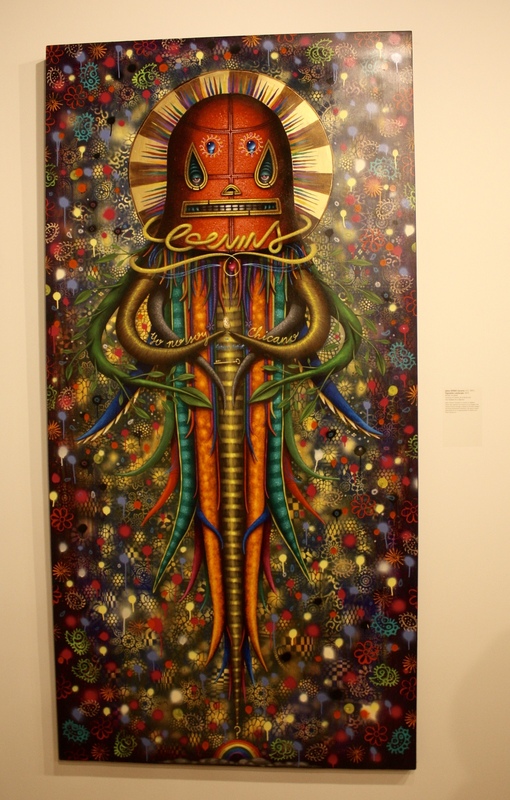 In addition, street artists Man One, Jaime “Germs” Zacarias, Vyal Reyes, and Johnny KMDZ Rodriguez have been invited to create new, original artworks—inspired by some of the works on view in the exhibition—to convey the breadth and relevance of today’s Chicano art. 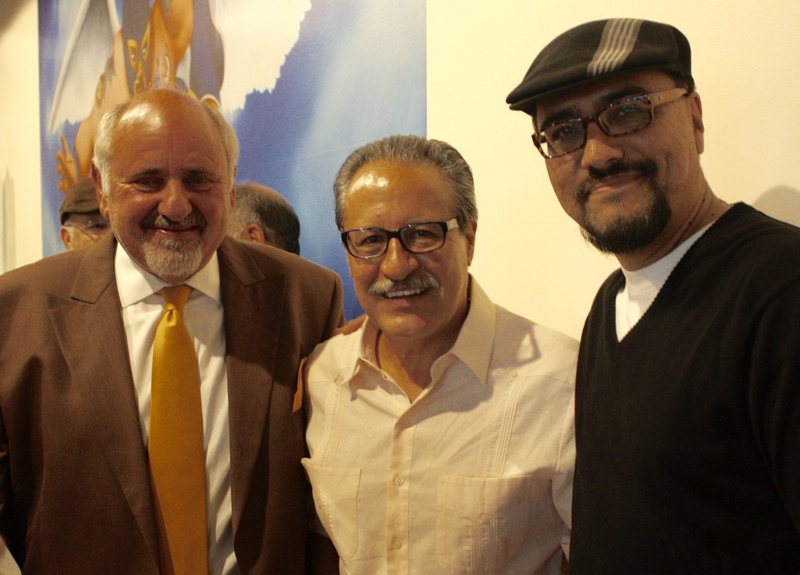 Here are some pics from opening night but there is much more to enjoy in person. *Extended through January 31st, 2016!